The Radio Nord revival weblog says: We have now received permission for 2.5 kW on MW 1512 kHz from Kvarnberget (Stockholm) and also on the original Radio Nord channel, 603 kHz, from Sala (the same location as the shortwave transmitter). As for short wave the frequencies have not yet been determined but we will most likely be in the 41 and 31 metre band. SW frequencies will be announced as soon as they are cleared and power will be 10 kW. We will also be running a test towards North America in night time and hope you will be able to hear us over there. 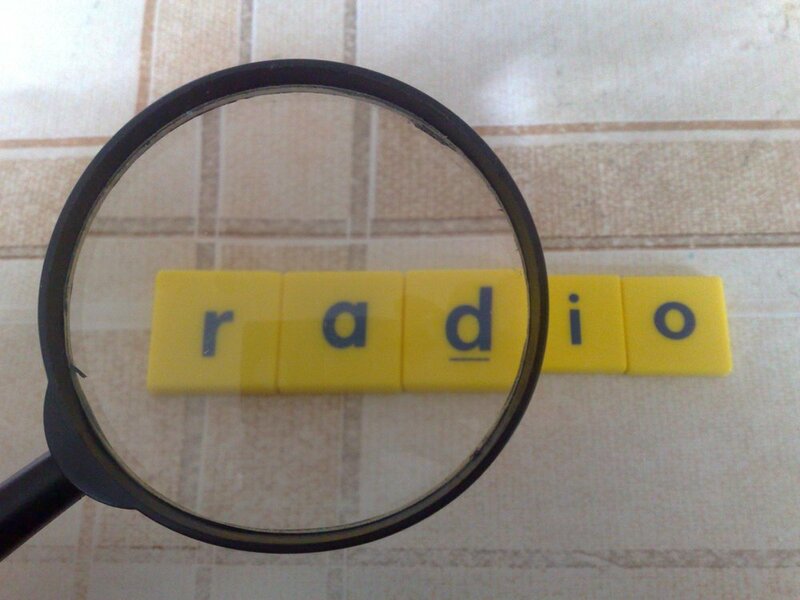 As usual you can also hear us on web radio, now with improved webstreams. On May 27 official transmissions will start from the former ice-breaker and museum ship s/s S:t Erik and there will be a lot of live transmissions from the ship. We are also planning a small Radio Nord exhibition on board and the plan is to build a studio with vintage equipment of the same type that was used by Radio Nord. Everybody is welcome to join us the weekend of May 27-29 on board the S.t Erik! there is something not right about ‘We have now received permission’ when referring to the return of a pirate. The bands (MW/SW) are being abandoned by state/private broadcasters and the ships have not being abandoned. If they can make a go of it for peace or love or music, let it be. This entry was posted in Uncategorized on May 16, 2011 by Brian Greene. More about Seán Óg and the series. 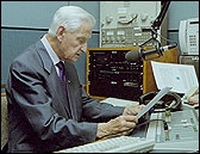 Seán Óg in the studio. From meeting Peig Sayers in her cottage to playing soccer under the pseudonym John Callaghan, Seán Óg describes the circumstances of his birth in Newcastlewest, Co Limerick in May 1923 right up to his still running radio programme Gaelic Sports Results. Growing up in Fairview in Dublin, Seán Óg attended an all-Irish school, excelling at singing and twice winning Feis Ceoil medals as a boy soprano. It was as a child that his acting talents were recognised and he was offered a scholarship to study at the Abbey Theatre’s school of acting giving this programme some memorable insights into the Abbey and its players. Seán’s love affair with sport began as a child, becoming a star hurler and winning club honours as well as playing for the Dublin All-Ireland hurling team. Ignoring ‘the ban’, he also played soccer, cricket, golf and snooker and his broadcasting career was strongly tied to this passion. Initially involved in retail, Seán was in his 20s before he became involved in the media, beginning a new career as a sports journalist with the Evening Press where he wrote his GAA page until the newspaper closed in 1995. Seán also had a television career presenting The Sunday Game and interviewing sportsmen like Cassius Clay (Mohammed Ali) and Jack Dempsey. In 1953, Seán took over the weekly sports programme his father had on 2RN and Gaelic Sports Results is still heard on Sunday nights. This programme now has a world-wide audience amongst the Irish Diaspora through satellite and web broadcasting. A re-edited version of these eight radio programmes will be available in CD format, published by RTÉ for the 2004 Christmas market. Dust down domhnaill a bu, the presenter of the worlds longest running radio feature hangs up his headphones on Sunday night. Seán Óg turns 78 next week. Our airwaves will miss his Sunday night tones. That feeling that its back to school or work that you get when you hear his voice. Tingles. This entry was posted in Uncategorized and tagged ireland, radioeireann, rte, se??n??g??ceallach? ?in on May 6, 2011 by Brian Greene. This entry was posted in Uncategorized on May 6, 2011 by Brian Greene. This entry was posted in Uncategorized on May 4, 2011 by Brian Greene.